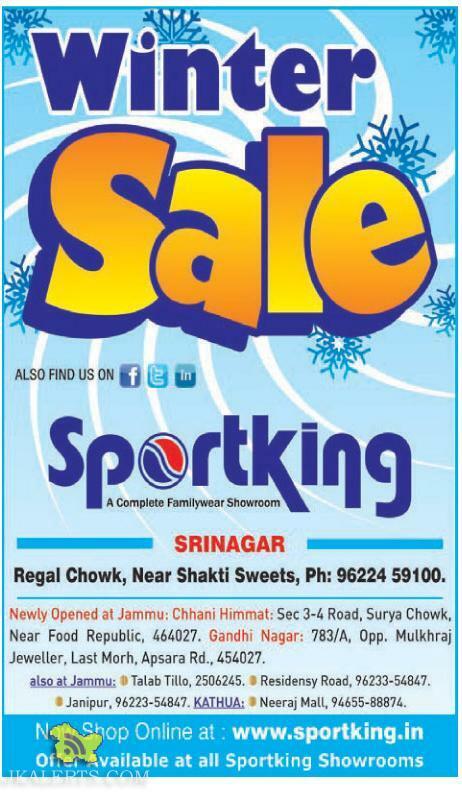 Sportkinq A Complete Family wear Showroom Srinagar: Regal Chowk, Near Shakti Sweets, Ph: 96224 59100. 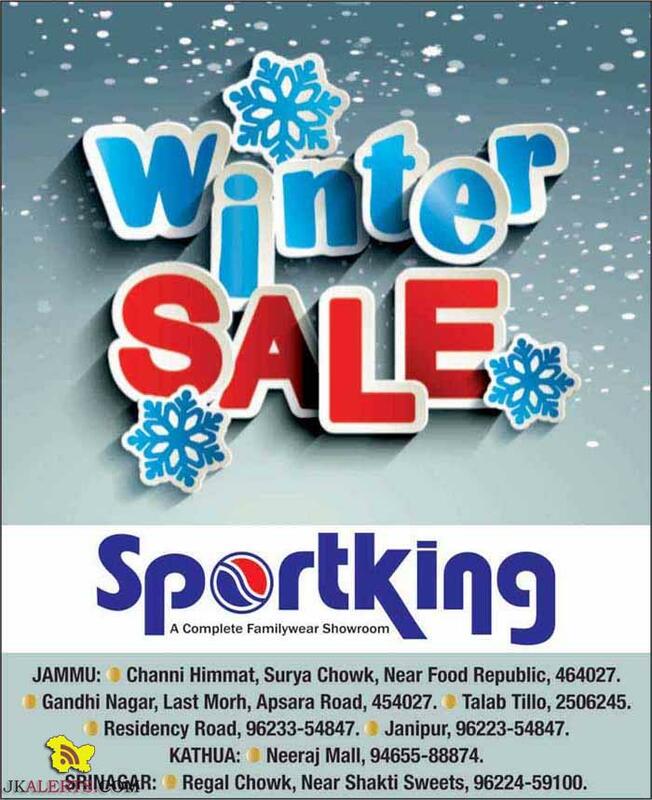 Newly Opened at Jammu: Channi Himmat: Sec 3-4 Road, Surya Chowk, Near Food Republic, 464027. Gandhi Nagar: 783/A, Opp. Mulkhraj Jeweller. Last Morh. Apsara Rd.. 454027. 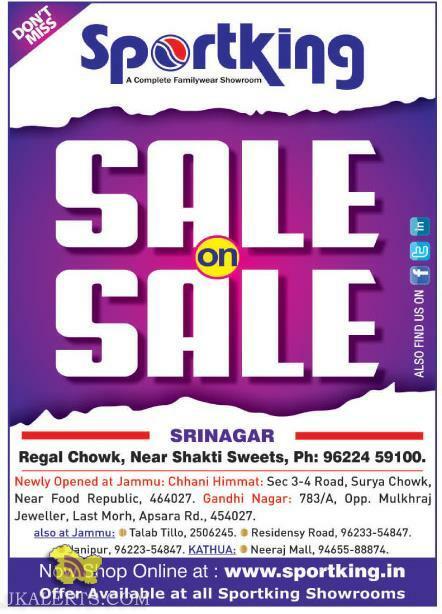 Jammu: Talab Tillo, 2506265. : Residensy Road, 96233-54847. Janipur. 96223-54847. 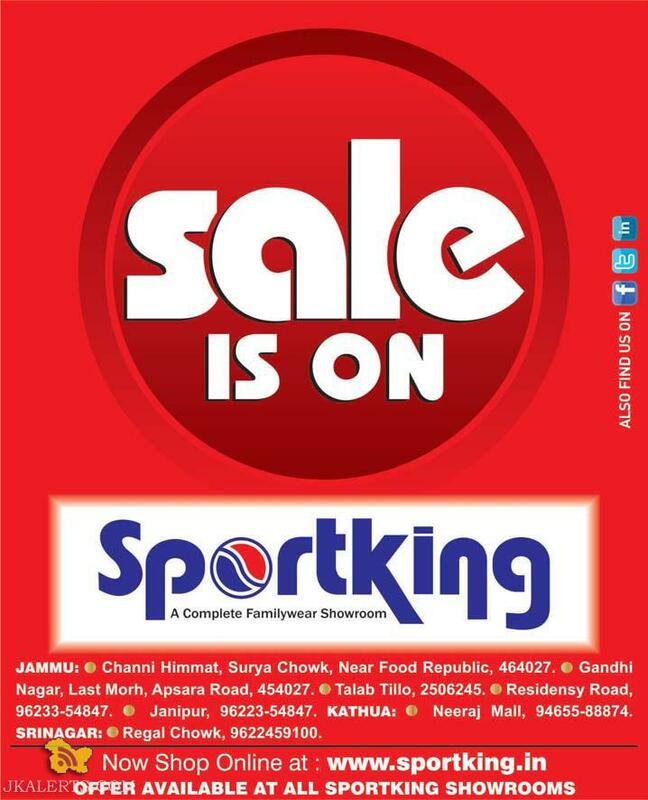 KATHUA: Neeraj Mall, 94655-88874.